In a move to cripple Muslim charitable work, the US government moved against three leading charities during Ramadhan, accusing them of “supporting terrorism”. 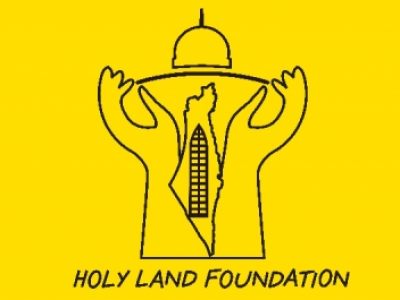 The Holy Land Foundation for Relief and Development was the first to be targeted, closely followed by raids on the offices of Global Relief Foundation and Benevolence International. Their assets have been frozen, effectively stopping all their relief work. Using the so-called Patriot Act, signed into law in October, the US government has moved against three of the largest US-based Islamic charities. While claiming that it is not fighting Islam, the government attacked these charities in the month of Ramadhan, a time when Muslims traditionally give generously to Islamic causes. This is a direct assault on Islam, because Muslims are required to donate at least 2.5 percent of their savings (called zakah) every year to charitable causes. Most Muslims pay zakah in Ramadhan. There are clear instructions in the Qur’an (9:60) and in hadiths about how zakah funds can be used. The US government has actually assaulted a fundamental pillar of Islam. No evidence has been given of how these charities are linked to terrorism. In some cases the action seems merely to be the result of slurs cast by various lobby groups. The Holy Land Foundation, for instance, was featured in a PBS documentary by Steve Emerson, the notorious Muslim-baiter, in 1994. Emerson alleged that the Holy Land Foundation was financing “terrorist” operations in Palestine. Hamas in particular was named as a recipient of its donations, a charge vigorously denied by the Holy Land Foundation. In fact Hamas runs several different wings; its military wing is completely distinct from its charitable wing, which runs schools, clinics, orphanages and so forth. Apparentlyzionists consider it a crime to support the children of martyred Palestinians. Since the current US policy is formulated and run largely by zionists, it is not surprising that the FBI and US Immigration and Naturalization Services (INS) have singled out Muslim charities for persecution. Muslim activists have also been arrested. Dr Mazen al-Najjar, a Palestinian professor who was released last year after the court ruled that there was no evidence against him of any wrongdoing, was arrested again at the beginning of Ramadhan. His brother-in-law, Dr Sami al-Arian, a tenured professor in computer sciences at South Florida University, was dismissed from his job on December 18 by a government-appointed Board of Trustees without being given the opportunity to hear the allegations against him or refute them. The US government has admitted that there are 1,274 Muslims in detention in various parts of the country. There may be many more: it has launched a campaign to interrogate at least 5,000 Muslims. Most Muslims are held on immigration related charges — over-stay of visa, for instance — but they have not been charged with any specific offence. Much worse, their relatives have not been told where they are being held or how long it will be before their cases are resolved. A Muslim of Pakistani origin has died in detention. There have been raids on laboratories in Pennsylvania where Pakistani scientists work, alleging some mysterious wrongdoing without supporting evidence. Even Pakistani banks in the US have been told that they can longer deal in cash transactions. Pakistani banks have posted notices saying that they no longer provide normal banking services. Pakistani banking officials in New York have announced that henceforth they will deal only in certified cheque transactions. This has seriously affected the transfer of funds to families in Pakistan, especially before Eid al-Fitr. As for the unofficial channels, called the hundi or hawalasystem, in the post-September 11 climate most operators have shut down. But it is the Muslims’ charitable work that is most seriously affected. The Global Relief Foundation, for instance, supports relief work in Afghanistan but, because the US is suspicious of any Muslim activity there, Global Relief must be shut down. Global Relief issued a statement on December 14 saying that it will cooperate fully with the government’s investigation. “We are in the business of helping innocent civilians and take every precaution to ensure our aid does not go to support or subsidize any nefarious activity,” the statement said. It further said that the Foundation had already had to shut down its worldwide humanitarian operations. A Benevolence Foundation spokesman likewise said that the freeze of assets will halt its relief to the poor, at least for the time being. There are millions of destitute children, widows and orphans in Afghanistan and elsewhere, but they will have to wait while the US government sorts out whom it considers to be operating legitimate charitable work, and whom not. Global Relief Foundation raised more than US$5 million in the year 2000 for charities in Afghanistan and elsewhere in the Muslim world. Global Relief filed lawsuits in November against large US media outlets, including ABC television and the New York Times, claiming that it had been portrayed unfairly as a terrorist organisation. It is interesting to note that there are no restrictions on Jewish terrorist groups operating and collecting funds in the US. Kahane Chai, declared a terrorist organization by the US state department, has not been prevented from operating, nor from collecting funds. Similarly the Jewish Defence League, a racist group that has targeted Muslims in the US, operates freely despite issuing open threats against Muslims and in many instances carrying them out. Zionist terrorism is obviously all right, but Muslims may not operate charities because that will help people in hardship somewhere.